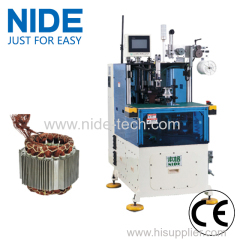 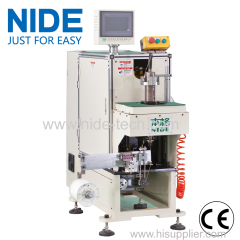 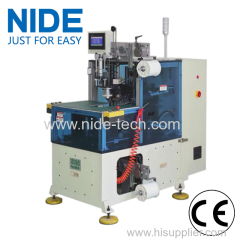 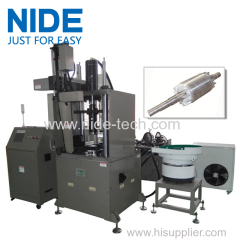 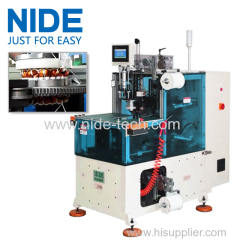 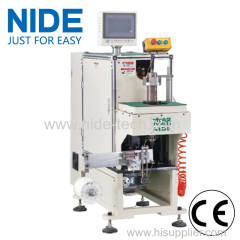 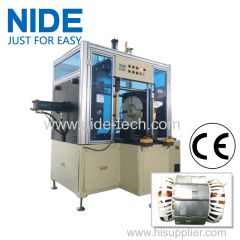 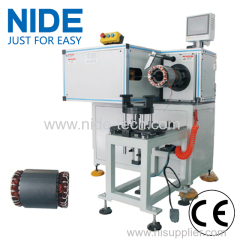 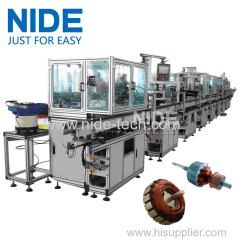 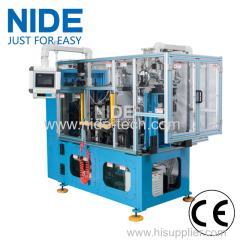 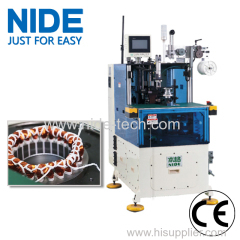 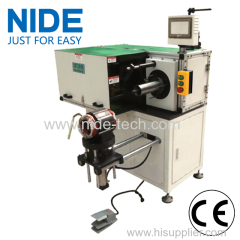 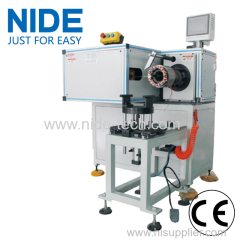 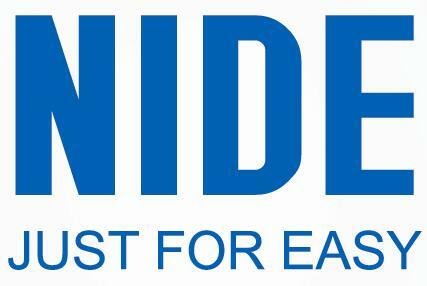 NIDE High Quality stator coil lacing machine with CNC control design and HIM program from China manufacturer - Ningbo Nide Mechanical Equipment Co., Ltd. 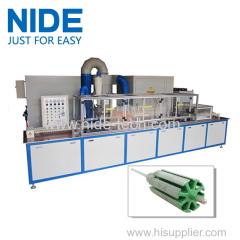 The stator coil lacing machine is suitable for air conditioner motor, washing machine motor, compression motor, fan motor, generator motor and others. 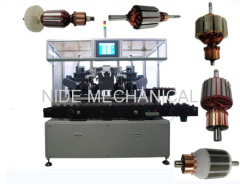 The motor stator coil lacing machine is suitable for air conditioner motor, washing machine motor, compression motor, fan motor, generator motor and pump motor etc. 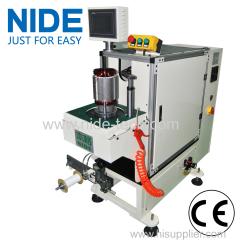 The stator coil lacing Machine adopts two hands simultaneously start button to ensure safety. 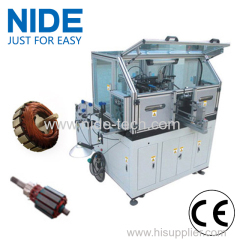 This stator coil lacing machine adopts servo driven system, CNC control design and HIM program. 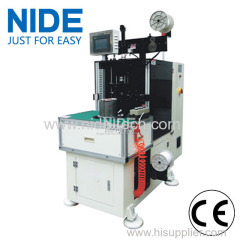 The indexing is driven by servo system. 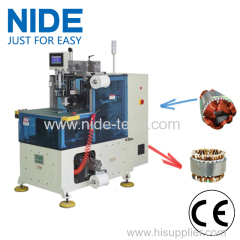 Different lacing mode could be set such as slot lacing, interval lacing, fancy lacing. 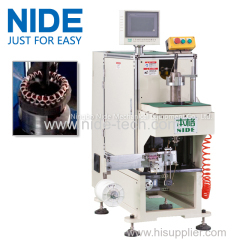 Main spindle adopts servo control system. 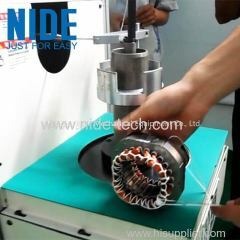 The rotation speed can be set. 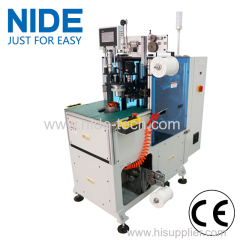 The stator coil lacing wire Machine can automatically feed thread and cut thread. 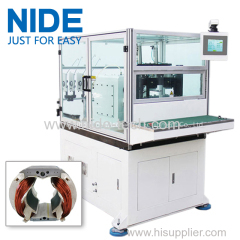 There is no need to tie a knot. 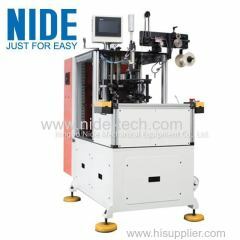 Tooling change is fast and convenient. 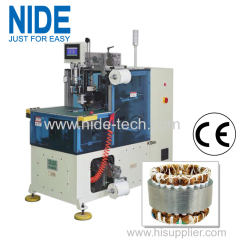 Stator stack length range is 50-130mm. 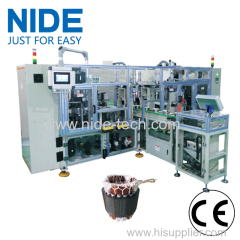 Production capacity for 24slots ≤30s/pc. 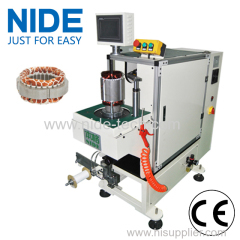 After lacing, there is no copper wire snap or wire enamel broken. 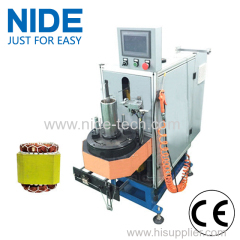 This coil lacing machine adopts safety grating protection system. 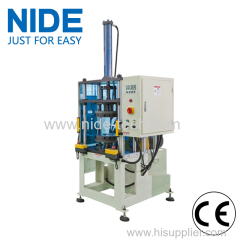 Operator need to stand when operating. 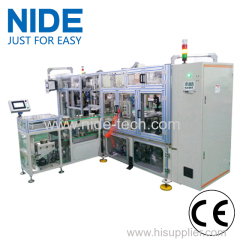 Machine adopts two hands simultaneously start button to ensure safety.